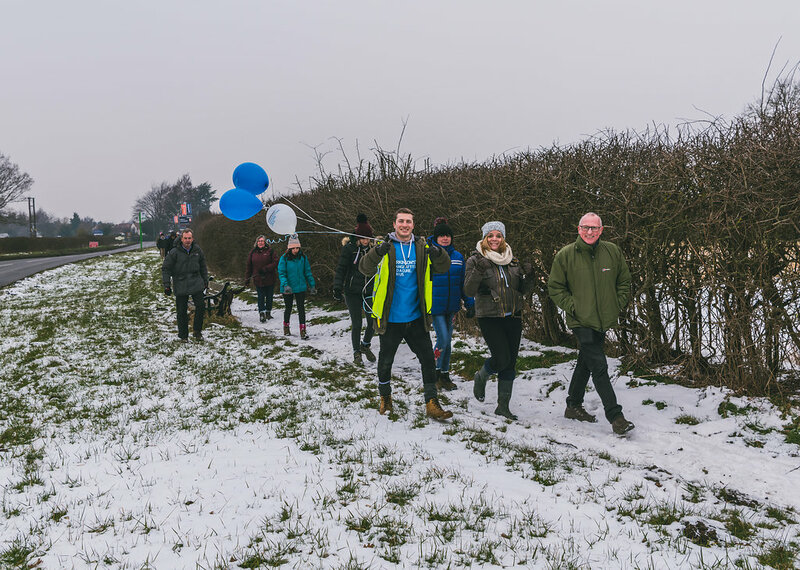 The 2019 Pub Walk for Parkinson's iwill take place on Saturday 2nd March. Meeting & Registration at Farnsfield Cricket Club at 10:30 am. The total raised so far from this annual event is now well over £20,000 and the hope is that this year's walk will be the biggest and best yet with a record number of walkers and a big total raised. The walk is approximately 8 miles long, meandering from Farnsfield to Southwell on a variety of terrains, so stout shoes/boots are recommended. Unfortunately, the route is not suitable for wheel chairs and is testing for those with mobility issues. The organiser, Bob Ratcliffe, has been thrilled with how the event has grown since 2011. "We raised £700 from that first walk, which I was delighted with, and it's been incredible to see how every year since then the numbers have increased. Last year there was snow on the ground, but we still had over 100 walkers, the largest number so far. We also had several dogs accompanying their owners, which added to the friendly nature of the event. It's a very sociable and fun day. We walk, talk and drink to raise money for Parkinson's. A great event to meet up with friends, both old and new." The walk includes a number of 'resting places' on the way where the consumption of alcoholic beverages is obviously optional. The entry fee remains at £15 which includes tea or coffee and a bacon cob before the start. Some food is also provided by The Hearty Goodfellow at the end. At least £10 from each entry goes directly to Parkinson's UK, the research and support charity.